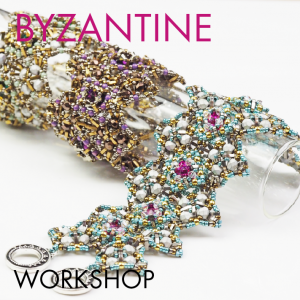 This is the perfect project for you if you would like to test your beading skills or take your experience with Cubic Right Angle Wave to the next level. The bracelet is built up from interconnected CRAW and PRAW units, while there are spiky pyramid beads (the thorns of pomegranate) and Cubic Zirconia cabochons (the seeds of the fruit) sitting on top of them. 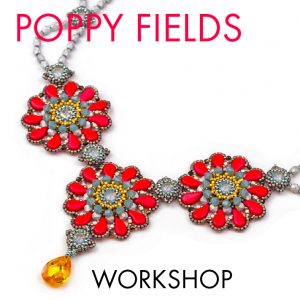 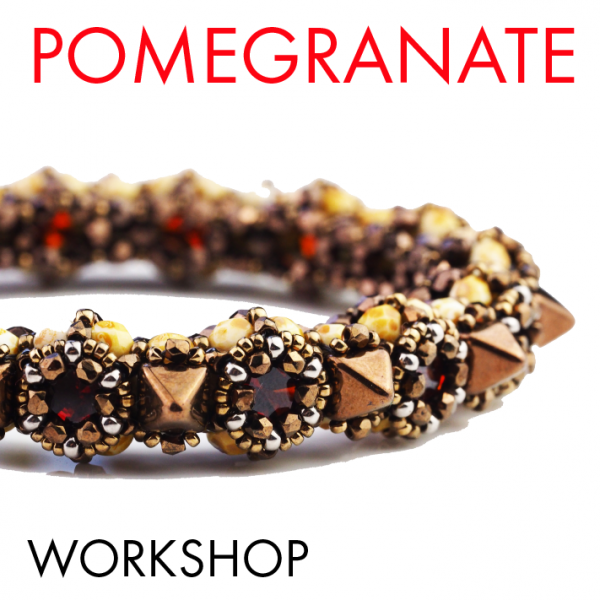 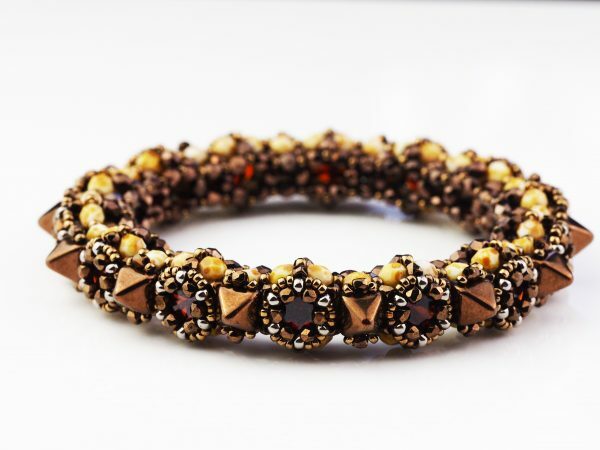 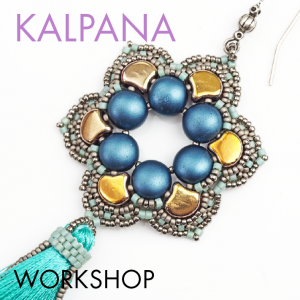 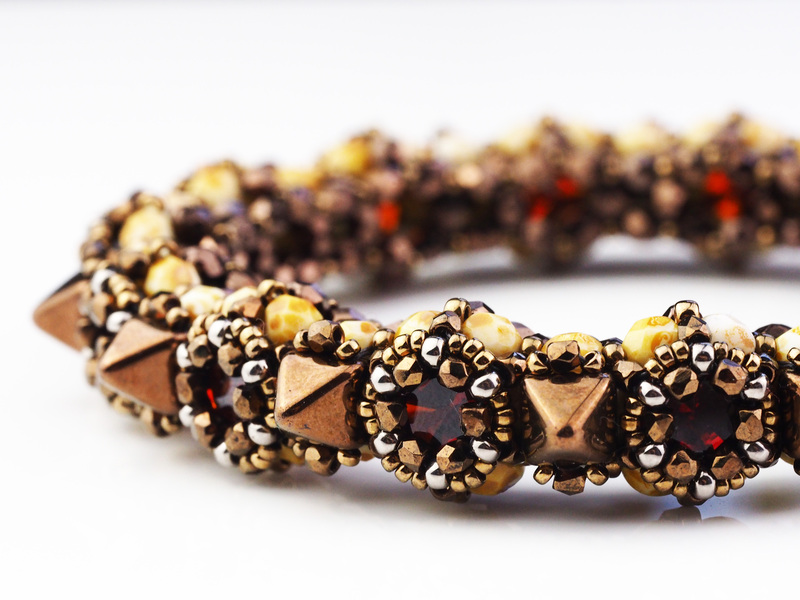 SKU: pomegranate-bracelet-workshop-stockholm. 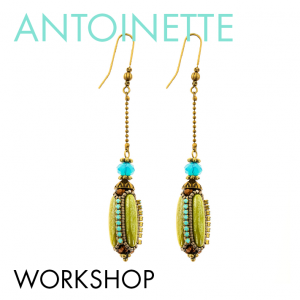 Availability: 24 in stock Size: N/A Category: Workshops. The kit (included in the price) contains enough material for a full XL size bracelet. 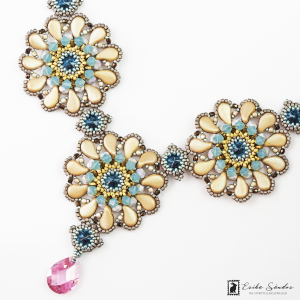 If you like bracelets with a clasp, you will need to add your own closure. 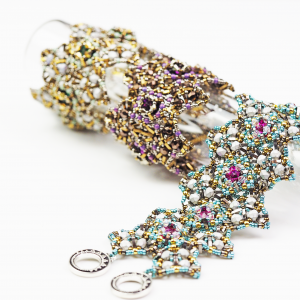 Material: Cubic Zirconia cabochons, Czech glass beads, Japanese Miyuki seed beads. 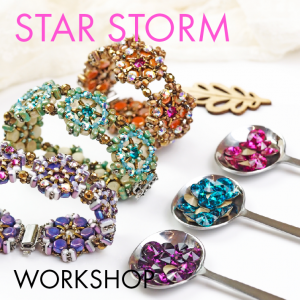 Kits will be available in at least 3 different colours, with the possibility to purchase Cubic Zirconia cabochons in more colours. 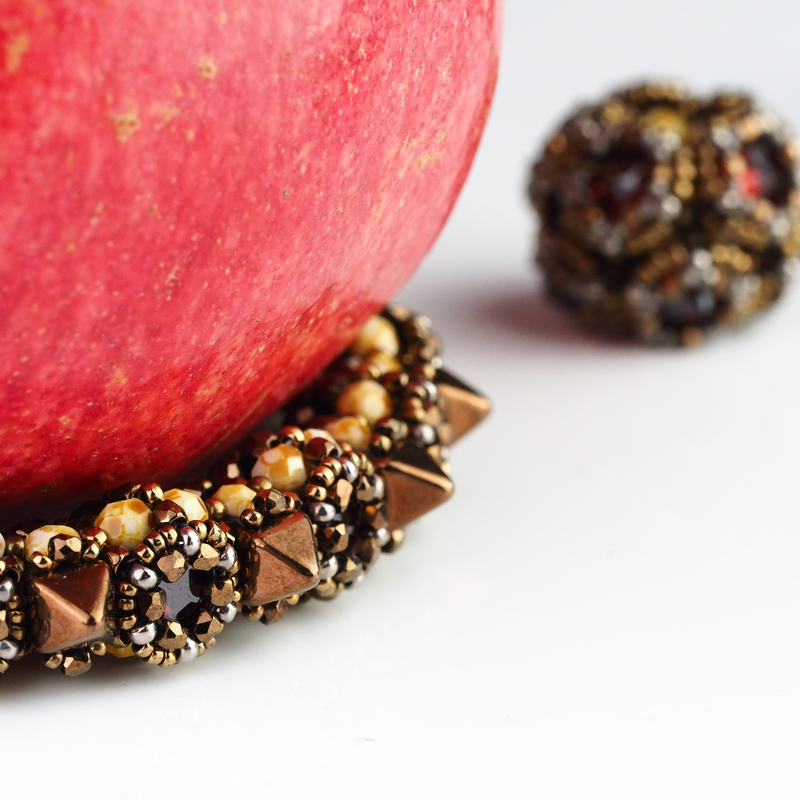 Prerequisite: experience with CRAW (Cubic Right Angle Wave) or PRAW (Prismatic Right Angle Wave).